Digital Storytellers are proud and excited to announce that as of June 2017, we are a Certified B Corporation! What are BCorps, you ask? B Corps are companies that use the power of business to solve social and environmental problems. B Corp certification is to business what Fair Trade certification is to coffee or Australian Certified Organic certification is to food. B Corps are important because they inspire all businesses to compete not only to be the best in the world, but to be the best for the world. Certified B Corps meet high standards of social and environmental performance, transparency, and accountability. They measure a company’s impact on all its stakeholders (e.g. workers, suppliers, community, consumers and the environment). We’ve evaluated how our practices impact our employees, our community, the environment, and our customers, and are now certified to meet rigorous standards across these areas. The performance standards are comprehensive and transparent, and you can view them on our BCorp profile here. Why did we become a BCorp? 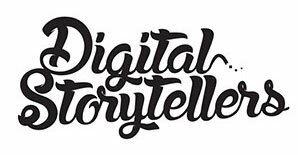 At Digital Storytellers, we believe the power of storytelling can change the world. Our vision is a more equitable and sustainable world, and we help make that a reality by telling stories that matter, and sharing our knowledge and resources to empower a wider community of storytellers. As a company that exists for the sole purpose of making a difference in the world, BCorp values just made sense. But we wanted it to make more than sense. We wanted it to be measurable, and to be held accountable. So we decided to embark on the process of certification. We’re proud to join the community of business best for the world! Today, there are over 2,200 Certified B Corps around the globe, including Patagonia, Ben & Jerry’s, Etsy and Whole Kids. Here in Australia and NZ, the numbers are growing too – you can find and check out Australian & NZ BCorps here. We are really proud to join a community that is redefining success in business, so that one day everyone uses business as a force for good. Why not become a BCorp too? There are many reasons to become a BCorp. It’s good business sense, amongst a heap of other benefits. How do you get certified? Learn more here.